I hope everyone had a nice holiday. Why is it turkey never tastes as good as it does on Thanksgiving? It's a mysterious bird, don't you think? Now, we’re on to the next holiday. Christmas. Since people have been actually injured and even pepper-sprayed during the Black Friday festivities, I have decided to complete the bulk of my Christmas shopping online. More specifically, since there are several people I know who are receiving e-readers this year, I think e-books or gift cards are in order. It sure makes my life easier. 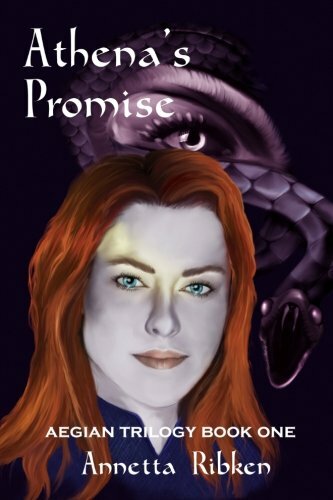 I am running a giveaway for “Athena’s Promise” on GoodReads. Three signed copies are the prize; all you have to do is register and click for a chance to win. Easy-peasy. Of course, the e-version is available on Amazon and on Smashwords. Looking for some heart-pounding action with a strong heroine? Check out PJ Druce’s Marooned. Speaking of heart-pounding, Patti Larsen serves up a heaping dose in her The Hunted Series. Excellent books. If you’re into zombies (and who isn’t?) Monster’s Unmasked, a novella by Lori Whitwam, offers a look behind the zombie apocalypse set in the universe created by Joshua Guess. Sometimes the monsters are not always who or what we expect. Lori also writes from the other end of the spectrum — Make or Break is a funny, snarky, sparkalicious romantic suspense you’ll thoroughly enjoy. If you like erotica with your story, you can’t miss out on Eden Baylee’s excellent Fall Into Winter. Wonderful stories with rich characters and imaginative plots. I was very sad to hear of the passing of Anne McCaffrey. Those of us who are avid readers know there are special stories which can have a huge impact on your life. Some books can actually change or save a life. Anne McCaffrey’s “Dragonriders of Pern” is one such book for me. The hardcover copy I have is battered and held together with clear shipping tape. It is almost 30 years old, and has traveled thousands of miles. It is the only book I have both in hardcover and e-format. I would emigrate to Pern today, if I could. And I make a mean cup of klah. Although I am very sad we’ve lost such a distinctive and talented voice, Anne McCaffrey is not gone. All you have to do is open one of her books, and there she is. What a legacy! I can never thank Ms. McCaffrey enough for the hours of joy she has given me through her stories. She will be sorely missed.